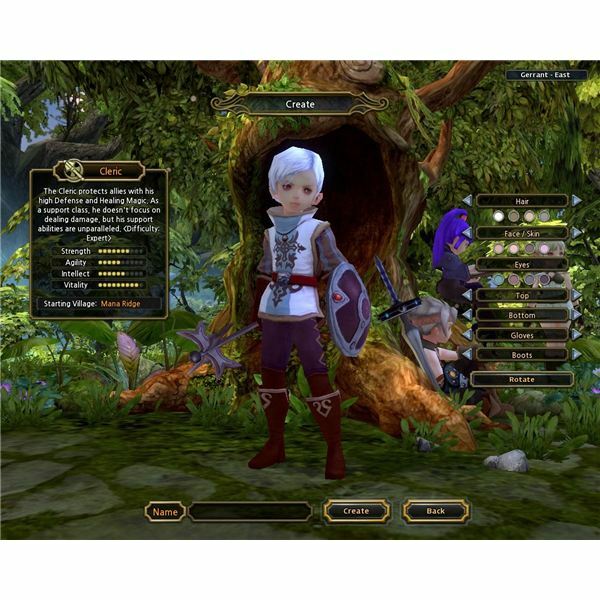 Nexon’s newest MMO, Dragon Nest, is already garnering a solid following given its intense combat, heavily story-driven content and a light-hearted art-style to keep the kiddies entertained. The game has four classes, as of the writing of this guide, and one of those classes happens to be the looks-can-be-deceiving Cleric. 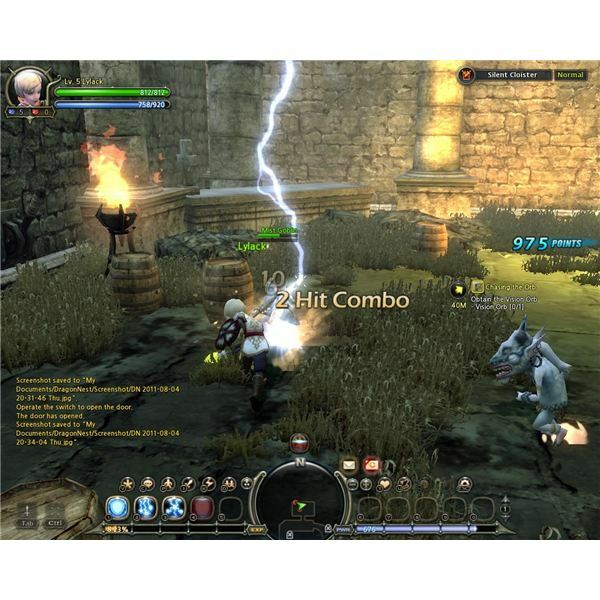 Unlike a lot of other games out there where Clerics rely on moderate melee skills and plenty of buffs, DoTs and magic attacks, the Clerics in Dragon Nest are unfettered warriors who rely as much on brute strength as they do Holy might. Find out more about this unique new take on a classic archetype in this Dragon Nest Cleric guide. There are a few ways in which to play as the Cleric…not all of them are as effective in each scenario as you might expect and developing the Cleric in a specific play-style can be as rewarding as it is inhibiting, depending on how you plan to use your Cleric. Warrior Clerics focus on using the flail, in this regards it’s almost equivalent as a weapon type to the Warrior’s sword. Combos and mid-to-close range combat are the focus of the flail’s attacks and enables players to use the weapon for wide sweeping attacks and plenty of knock-back moves. If you plan on focusing on close-range melee crowd control then the flail is a good weapon to use. Standard Clerics who use the mace are mostly short-range melee fighters with some mid-focus on magic attacks. If you plan to alternate between melee and magic then the mace is a good alternative to the flail because it offers players some buffs for MP while maintaining moderate damage. Unlike the flail, however, you won’t be able to attack as many mobs simultaneously and in result, will find yourself having to focus more-so on enemies within a single line of sight rather than taking out mobs in a wide direction. Magic Clerics are more-so support characters. They’re good at crowd-control no doubt, and their strong focus on magic enables them to stun, or inflict damage-over-time attacks that are perfect for group play. Wands enable Clerics to instantly cast brief magic attacks just by using the wand as a melee weapon…sometimes shooting out projectiles while other times inflicting brief stun attacks. Wands buff up a Cleric’s MP that also enables them to cast more magic and faster magic, making this build of Cleric an essential character class to have in harder dungeons at higher levels. Level 1 – Shield Blow: A coned area-of-effect attack that blasts back enemies directly in front of you. Additional levels increase the damage output by this attack, which is a decent skill to have on hand as a desperation move to get out of a tight bind. Level 1 – Struck By Lightning: Does an initial attack on enemies and the strikes them again with a lightning attack. This skill also works on downed enemies, allowing for additional combos even after an enemy has fallen. Level 1 – Roundhouse Kick: A special sweeping roundhouse kick that creates distance by knocking back or knocking down enemies in a wide area in front of the player. This is much more effective than the Warrior’s Stun Kick. Level 1 – Stomp Kick: Double-stomps opponents who have fallen. This skill uses the special attack button to perform a double-stomp. Level 1 – Sliding Step: Double-tap a direction key or the “Evade” button to get clear of all attacks. This skill can be upgraded to decrease the cooldown effect. Level 5 – Dive Kick: While jumping and pressing the special attack button, the Cleric will perform a diving straight kick that will temporarily knock down an opponent. This is a good move to use to clear out an enemy and setup for a follow-up combo attack on other enemies. Level 5 – Righteous Bolt: Strikes a single opponent with a heavy bolt and then follows up with four additional bolts of lightning that spread out in different directions. Level 5 – Block: An extremely useful skill that allows players to initially block up to two enemy attacks for 15 seconds. This is skill is indispensable and an absolutely must-have for any Cleric build. Higher levels allow for more attacks to be blocked. Blocking is automatically activated once this skill is used. Level 5 – Vengeance Strike: Tapping the attack buttons while fallen will allow your hero to jump back to his feet with a strike to any nearby foes surrounding you. This is a good move to have when you’re soloing or doing a lot of PvP. Level 6 – Angelic Kick: While an enemy is stunned, you can use this attack to inflict additional damage by blasting them back and knocking them down. Level 8 – Holy Kick: While dashing, use the special attack button to perform an additional kick that follows up with the sweeping roundhouse kick. This is a good move to have for players who like to focus on continuous, alternating combos. Level 9 – Paralyze Bolt: A crowd controlling skill that paralyzes enemies for a few seconds. This is a crowd control skill with a near 30 second cooldown. This skill is useful for players who need to setup heavy-hitting group attacks. Level 10 – Aura of Healing: Heals allies and yourself within a two meter radius for eight seconds. Higher levels of this skill increases the amount of health players are healed by. Level 11 – Sliding Knee Attack: While performing sliding step quickly tap the special attack button to execute a flying knee strike, Tony Jaa style. This not only looks cool but it also knocks all enemies in front of you clean of their feet, allowing for an additional magic combo or melee attack. Level 12 – Divine Combo: A series of rapid-fire, quick-succession strikes that sweep all enemies in front of you off their feet. For melee builds, this is a good skill to level-up. Level 16 – Aerial Evasion: Allows you to recover from an attack that catapults you into the air. Simply tapping the jump button during an aerial fall will result in a recovery, sparing you additional fall damage. Level 20 – Toughness: If you plan on focusing on a melee build, this skill is essential with an initial 5% decrease in physical damage taken. Higher levels further inhibits physical attacks from doing total damage. Level 20 – Health Booster: Increases the standard base health by 3%. Additional levels increase your total health by 1% per level. Level 20 – Mental Fortitude: Increases your standard base MP by 3%. An absolute must for leveling up for magic users. Additional levels increase your base MP by 1% each. Level 30 – Attuned mind: Increases your MP recharge rate by 3% each minute. Another essential skill for magic users who need to keep their MP charged up as much as possible. Level 35 – Redemption Aura: An extremely useful skill for group play. All party members will receive 10% additional HP restoration from skills or potions when buffed by Redemption Aura. 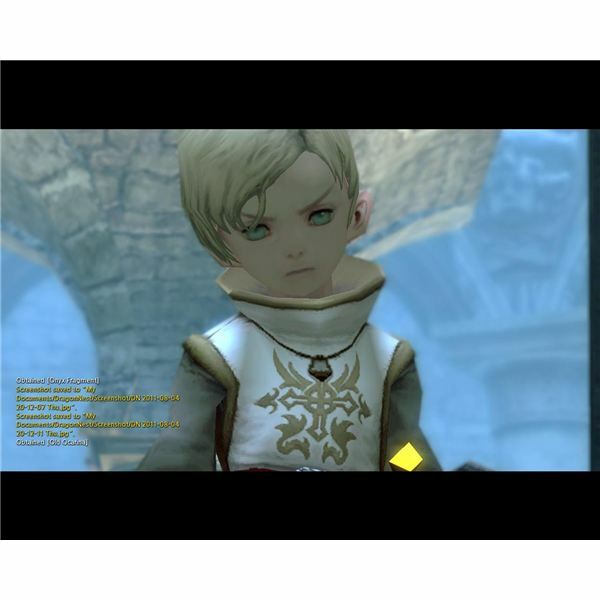 Hopefully this guide helped you with your Cleric build in Dragon Nest. If you need more class guides feel free to check them out right here at Bright Hub.